PARIS – French composer and conductor Pierre Boulez, a standard-bearer of modern classical music and renowned for his experimentation, has died at the age of 90, his family said on Wednesday. “Pierre Boulez shone the light of French music in the whole world. As a composer and a conductor, he always wanted to reflect on his era,” French President Francois Hollande’s office said in a statement. He was “an extraordinary conductor and composer, who has marked his era”, French Culture minister Fleur Pellerin said. 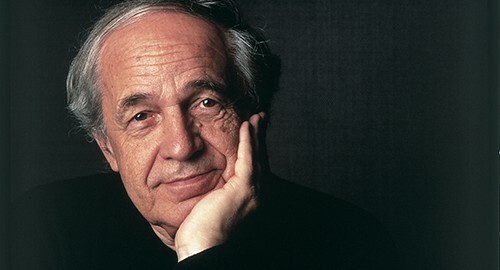 A radical thinker who became an esteemed figure in the world of classical music, Boulez broke into the limelight in 1955 when ‘Le Marteau Sans Maitre’ (The hammer without a master) was first performed, setting the poetry of fellow Frenchman Rene Char for contralto and six instrumentalists. As a conductor Boulez worked with some of the world’s leading orchestras and was especially celebrated for his interpretations of 20th century composers such as Arnold Schoenberg, Igor Stravinsky and Bela Bartok. As a composer he was known for his development of electronic music and for his use of improvisation and ‘controlled chance’, in which performers have some scope to create their own sounds.